The first three books of the Southern Pines Mysteries will form a trilogy, telling one story. Frail Branch leaves some unanswered questions. The next two books will tie up the loose ends, maybe not all since this is a continuing series. I've addressed this in a previous post about cliffhangers. 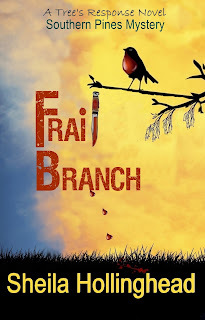 Frail Branch is not a cliffhanger since the murder is solved. 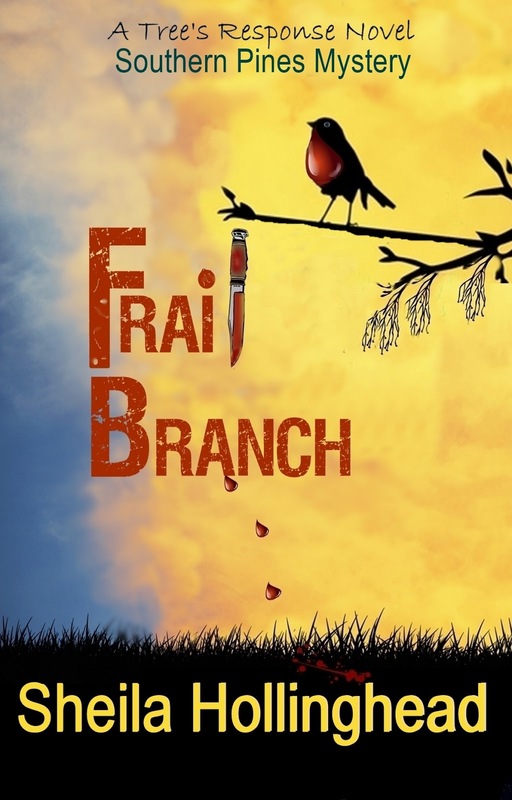 However, Frail Branch along with the next two books will make up a serial. The three books below are A Tree's Response serial that form one complete story. 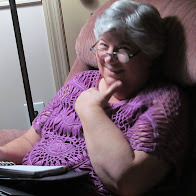 A week after the murderer of Matthew Drake has been apprehended, a woman shows up at the estate, claiming to be Mildred Drake Worthington, Matthew and Randall Drake's runaway sister. She carries a copy of Matthew Drake's will in hand, stating she is the sole heir. With her are her five young children, with strange names and stranger attitudes. Red Bud, Rose Petal, Mary Gold, and Wisteria May hold secrets that they do not themselves comprehend. The occupants of the house, including Zeke and Grace, are forced to vacate the premises. However, the next day Mildred is found dead, having tripped and fallen on the grounds near an abandoned well. Accidents do happen but the sheriff's department suspects murder. Mildred may have been killed by one of the people evicted from the estate. Or she may have stumbled onto one of Uncle Matthew's secrets. Or perhaps may have simply stumbled by her own clumsiness. 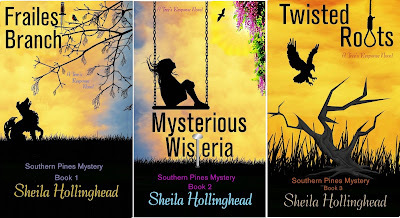 Her children hold the answer to their mother's death, but they're not talking, except for Wisteria whose puzzling words may lead to her own demise. I am slightly nervous about this new genre. It's difficult to give enough information so that readers can unravel the crime while, at the same time, make it challenging for them to do so. Cozy mystery happens to be my favorite genre. I believe most cozy mystery fanatics are like me and love to solve the crime before the end of the book but feel cheated if the solution is too obvious. I hope I've succeeded in making this first mystery just right--not too easy to solve and yet not too difficult or impossible. I hope you enjoy the new series!